Which Huawei smartphone should I buy? Huawei hasn't made it big in the US so far and its phones aren't available through carriers yet, but that won't stop keen Android users from discovering Huawei's broad range of great devices and ordering them online through sites like Amazon. If you're looking to buy a new Huawei smartphone, this article will help you navigate the diverse offerings of one of the biggest smartphone manufacturers on the planet. 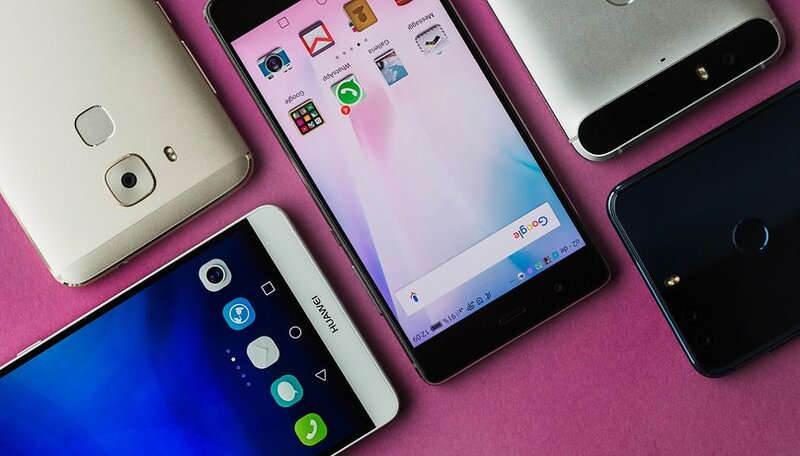 Though older Huawei smartphones are still being sold, in this article we're focusing on just the recently released ones. For entry level and mid-range smartphones especially, it's always better to get the latest devices to ensure future updates. Unlike Samsung, Huawei's series have a tendency to mix smartphones of different ranges. In 2018, the P range got three new additions: the P20 Pro, P20 and P20 Lite, but Huawei also launched a P Smart model at the end of last year. Outside of the US, these devices are selling very well for their attractive specs and prices, in addition to the brand's growing reputation. The Huawei P20 Pro is, in my opinion, the most interesting of this trio since it is the highest-end smartphone of the manufacturer. Available at a price of $980 on Amazon, it aims to compete with the finest offerings on the market and it has one of the best cameras available thanks to its Leica partnership. The P20 Pro's two outstanding characteristics are its triple camera and its notched display. If the price of the P20 Pro scares you away and you can afford a few hundred dollars less, then there's the Huawei P20. This smartphone is probably not the real protagonist of the new P20 line, but it has no reason to hide behind its older brother, the P20 Pro. The 5.8-inch, 18.7:9 screen offers a definition similar to the one on the P20 Pro with its 2,224 x 1,080 pixels. The difference is that Huawei relies on a TFT-IPS display on the P20. The notch is obviously noticeable, but it can be hidden by software from the settings menu. Instead of three cameras, the P20 offers "only" a dual rear camera. As in previous years, the Lite model is a less powerful version, but much more affordable than its corresponding flagship. Marketed at a price of $297 on Amazon, the P20 Lite is less spectacular than its two big brothers, the P20 and P20 Pro. The P20 Lite packs a Kirin 659, a mid-range SoC, 4 GB of RAM and 64 GB of internal storage. The Huawei P Smart is a mid-range smartphone with a 5.65-inch full-view screen, with a ratio of 18:9. The smartphone is competing a bit with the P20 Lite, but its price is even more affordable. The Mate range is the manufacturer's line of phablets (although the term phablet doesn't mean much since every flagship smartphone now has a big screen). Currently at the top of the Mate range, the 10 Pro is a phablet that will meet all your expectations. The smartphone uses the same hardware as is found in all the latest Huawei smartphones, namely the Kirin 970 processor and its chip dedicated to artificial intelligence. Because of its age, the price of Huawei Mate 10 Pro has already dropped and is currently around $649 on Amazon. That makes it a great deal right now. The Mate 10 Lite is the cheapest model of the new Mate 10 range. With a price of $277 on Amazon, Huawei has made some compromises by giving up some features and toning down the specs, but the Mate 10 Lite remains an interesting phablet option. The Y series is an entry-level range for Huawei. The goal is to provide devices with the latest features at a more affordable price. These are more modest devices, and it must be said that they are not the best smartphones from the manufacturer. Other brands do the entry level much better. This year, two smartphones were announced: the Huawei Y6 and Y7 2018. The Huawei Y7 2018 has been designed for fans of selfies and photography. With a front flash, users are able to capture snapshots even at night. Running Android Oreo, it offers a 5.7-inch screen in an 18:9 format with a definition of 1,440 x 720 pixels. Under the hood, it remains light with a Qualcomm MSM8937 octa-core processor clocked at 1.4 Ghz, with 2 GB of RAM. The Huawei Y6 2018 takes a similar design but with an even more modest technical sheet (and a smaller price too, of course). It packs a Qualcomm MSM8917 quad-core processor clocked at 1.4 GHz with 2 GB of RAM. What smartphone from Huawei are you most interested in buying? Do you have a Huawei smartphone already? Let us know in the comments! Mate 10 Pro is now around $549 at Amazon, as of 12 June.